I am back with another manicure routine, this time featuring Sally Hansen Triple Shine. 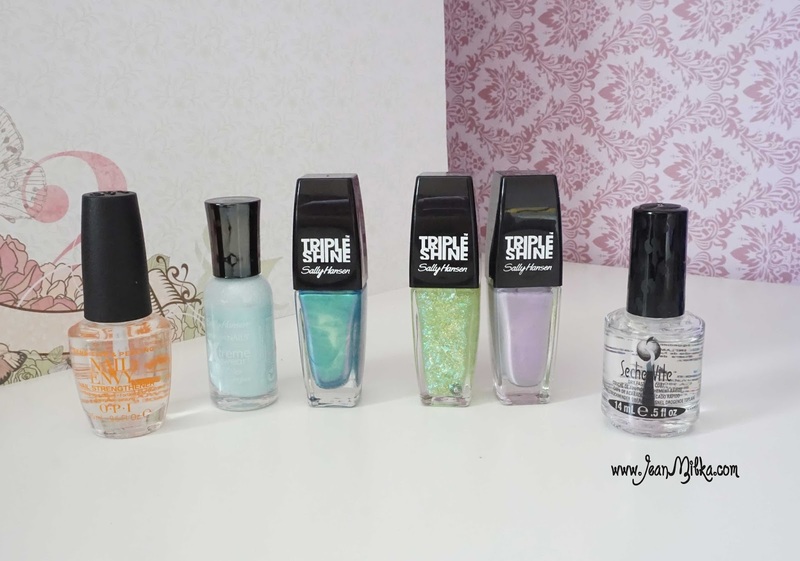 Sally Hansen Indonesia finally launched their Triple Shine collection couple months ago. 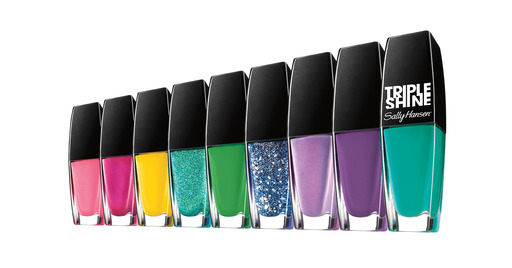 I adore Sally Hansen Xtreme Wear collection, like you probably already know. Sally Hansen Indonesia is so generous to send me some of their new Triple Shine Collection. Sally Hansen Triple Shine comes in 29 shades and all of the shades are protected with the Ultimate Shield Complex, exclusive to Sally Hansen, designed to help polish withstand the wear and tear of everyday living for non-stop shine. Basically the color is so shine. I haven't take a look of this new collection at store, but most of the color that I got are metallic or glittery polish. I personally prefer pastel-milk polish compare to the metallic polish because the fact is, I love nail art. But I need to admit that I like how Make Waves looks on my nail. Make Waves is the rightmost polish that is green-gold-metallic shade. 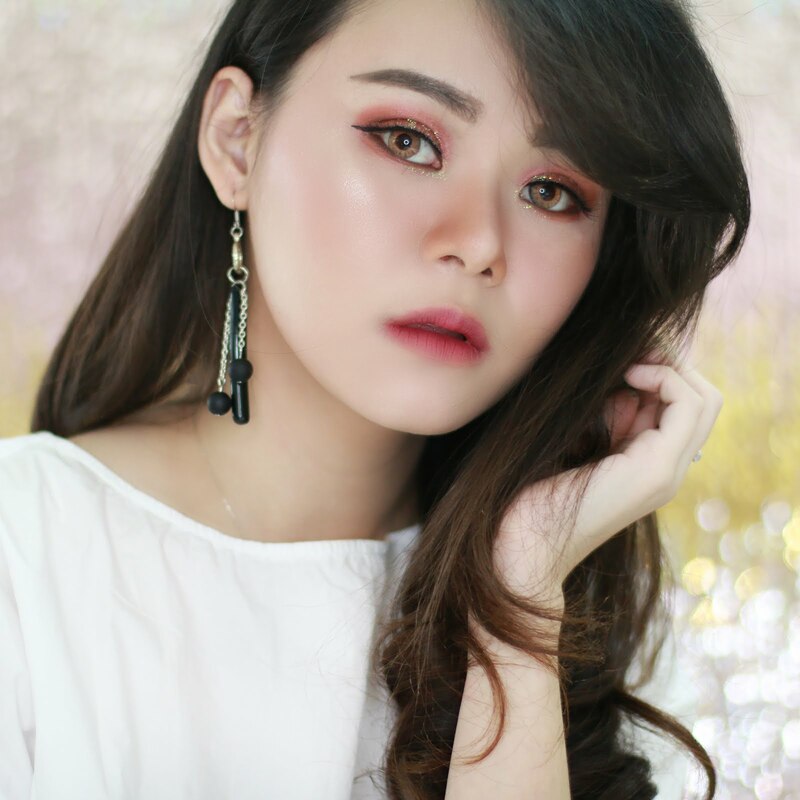 I am not sure if this collection have pastel-milk color, but I would like to say that I love the formula and pigmentation. The brush is quite wide so I only need 2 proper swipe and it will cover my entire nail. I only need 2 swipe and the color is opaque. What Product I Use ? 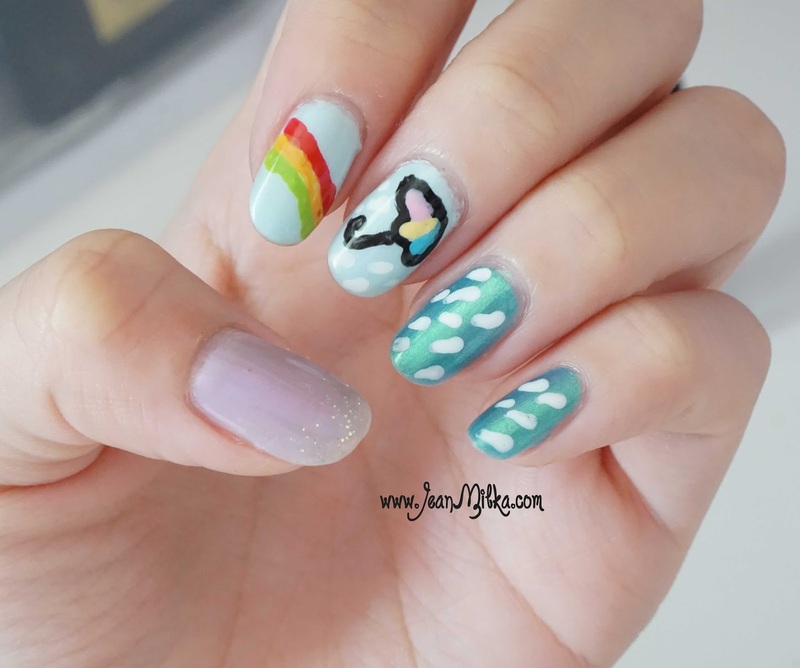 Today nail art theme is "Rainy Season", which is match current nail art challenge that held by Indonesian Beauty Blogger and Sally Hansen Indonesia. You can join the challenge by check the detail here. Thumb : I am using Sally Hansen Triple Shine in shade Drama Sheen and top my nail tip with the Pearl Whites. Middle finger : First I painted my nail with Sally Hansen Xtreme Wear in shade Breezy Blue. After that, I make an umbrella shape using black nail polish and fill it with 3 different color. This is my first time try, so please excuse the imperfection. Index finger : Again I used Sally Hansen Xtreme Wear in shade Breezy Blue and draw a rainbow using red, yellow, and green polish. Overall, my favorite shade for now is Make Waves. It's kinda like mirror polish that follow the light position. Light can change the way Make Waves looks from green-gold metallic which is very cool in my opinion. 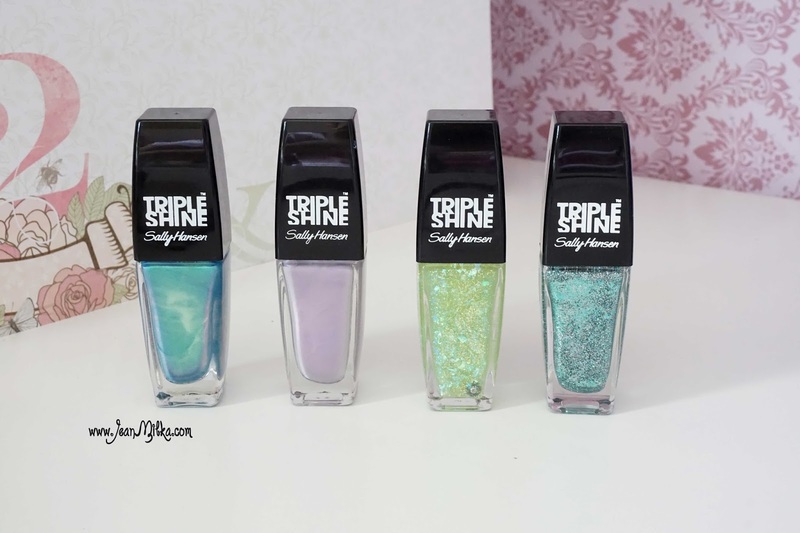 Readers : Have you ever try Sally Hansen Triple Shine? Which one is your favorite? 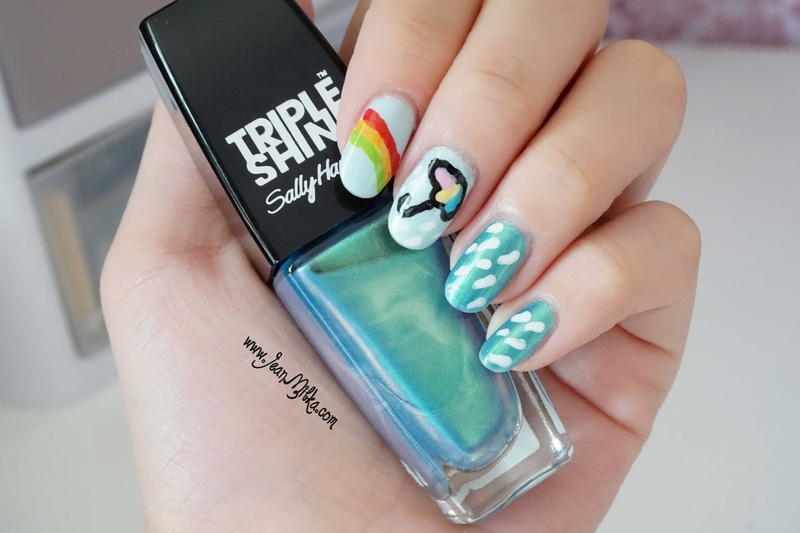 2 komentar on "Rainy Rainbow Nail Art with Sally Hansen Triple Shine"
Hehehe.. nggak juga kok Mel, aku pun belajar... makin sering nail art makin bisa dech..